The first thing to learn on mandolin is chords. 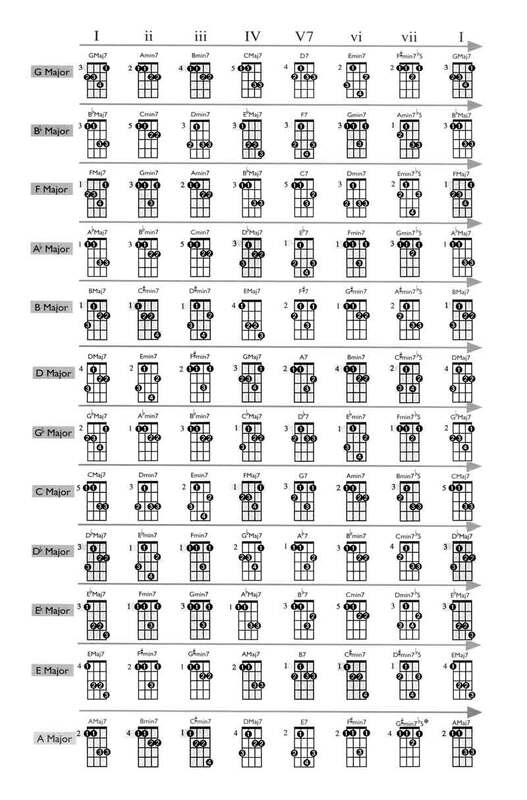 Memorizing your favorite ones can lead to new songs as well as learning old ones. If the fingers get sore at first, stick with it as this will go away. It's no different than weightlifting, where the muscles haven't been used and suddenly get put to work. These mandolin chords are fun to play, but the point is "listening" while you play them. Some will naturally flow into others and this trains the ear to recognize patterns and mandolin chord progressions. Some of these will be tougher to play than others, but just plow through them all. Luckily, the mando is the smallest stringed instrument and the most portable. Take it with your on vacation or any traveling. The life and performance of your mandolin depends on several factors such as humidity, temperature and use. You should keep your mandolin inside its case when not in rest, to protect it from external factors. When the neck becomes gummy and dirty, lightly rub it with 0000 steel wool. Some mineral oil is then applied and taken off with a dry cotton cloth. As the instrument ages check the neck for any warpage by looking down the neck like one would look for a tilt on a snooker cue. You should take your mandolin to a repair shop to prevent further damaging the instrument when its condition is more fragile. Spend more time playing it and you will certainly improve!